Marketing is the process by which firms create value for customers and build strong customer relationships in order to capture value from customers in return. Marketing management is the art and science of choosing target markets and building profitable relationships with them. As you can see, this entails far more than just advertising and personal selling, which is the common perception of marketing. 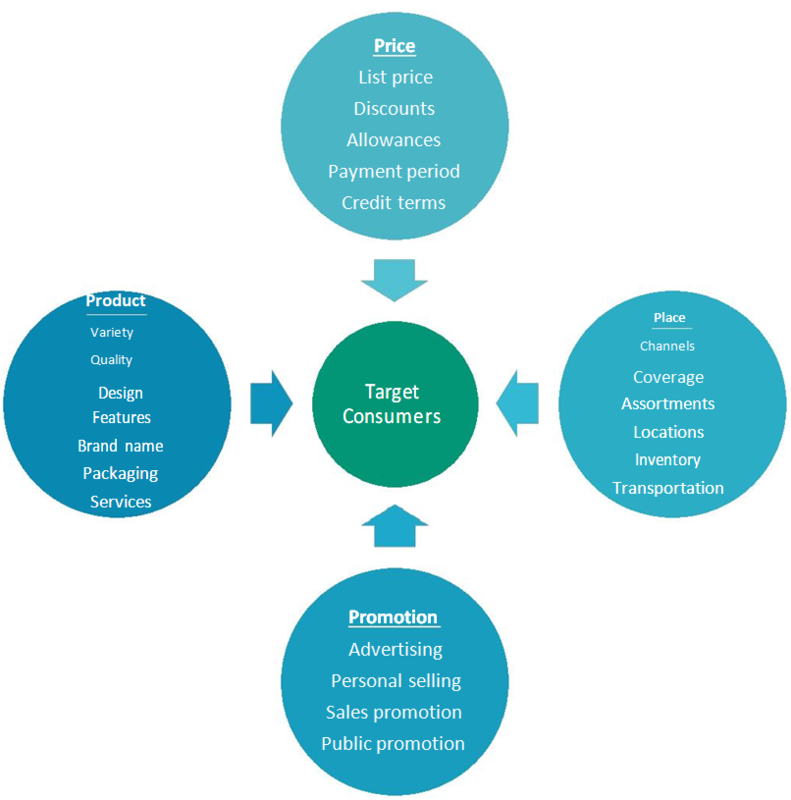 Marketing mix – is the set of controllable tactical marketing tools that the firm blends to produce the response it wants in the target market, commonly referred to as the Four P’s. Institutional advertising – Designed to enhance a firm’s image. o McDonald’s sponsoring the FIFA World Cup. Product advertising – Promotes the benefits of a specific product or service. o Normal advertisements. Apple’s advertising campaign before the launch of their next iPhone. If a new company with a new product enters the market, you will notice that the old company will begin a heavy advertising campaign to try and deter the new company. Comparative advertising – Compares two or more specifically named or shown competing brands on the basis of one or more specific attributes. First and foremost, there is Google. In order to advertise in google searches, you need to register with Google AdWords. 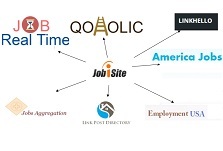 This is their advertising tool where you will create a marketing campaign by targeting certain keywords (buy shoes in New York) and normal demographic details. Then, there is Facebook, which is a bit easier to use. Their advertising tool is Ads Manager that you can access from your Facebook page. In this tool, you can target your audience according to demographics and interests.Other than Google and Facebook, there are many others like Twitter, StumbleUpon, etc. However, I strongly suggest that you start with Google and Facebook because they are likely to be the most effective. That being said, the major benefit of advertising on Google is that you can target consumers who are looking for exactly what you are offering and they are ready to buy it, and this is done by advertising according to the keywords that these people are searching, for example, “buy shoes”. This is why Google is such a powerful advertising platform. On the other hand, the major benefit of advertising on Facebook is that you can increase your brand awareness by targeting your potential market far more accurately than on any other platform. For example, if you owned a video game store in New Jersey that wanted to sell a new action video game, you can target 16-year-old boys living in New Jersey that are interested in action video games. Product – is anything that can be offered to a market for attention, acquisition, use or consumption that might satisfy a need or want. Service – is any activity or benefit that one party can offer to another that is essentially intangible and does not result in the ownership of anything. The most basic level is the core benefit, which addresses the question, what is the buyer really buying? When designing a product, marketers must first define the core, problem-solving benefits or services that consumers seek. At the second level, product planners must turn the core benefit into an actual product. They need to develop product and service features, design, a quality level, a brand name, and packaging. Finally, product planners must build an augmented product around the core benefit and actual product by offering additional consumer services and benefits. Identify the core consumer needs the product will satisfy. Find ways to augment in order to create the bundle of benefits that will provide the most satisfying customer experience. 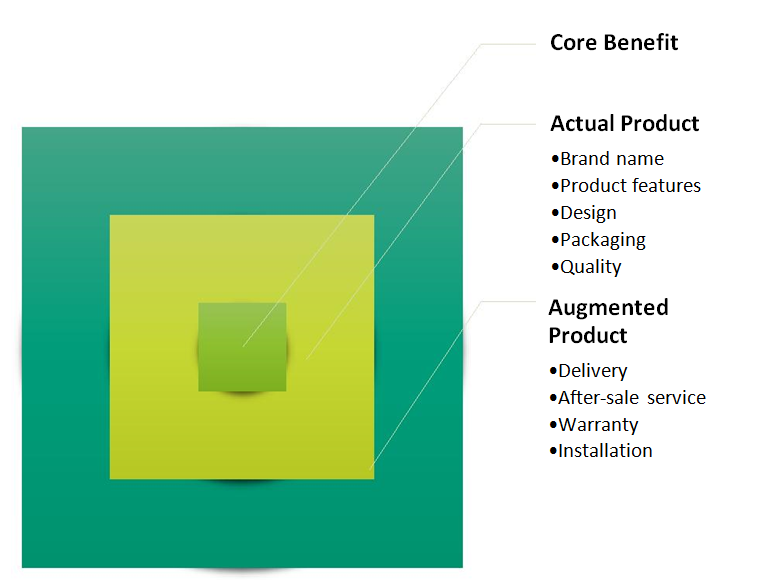 The Introduction Stage- When the new product is first distributed and made available for purchase. The Growth Stage- When a product’s sales start climbing quickly. The Maturity Stage- When sales growth slows or levels off. The Decline Stage- When a product’s sales decline. A rapid-skimming strategy – Launch the product at a high price, but supported by high levels of advertising expenditure. A slow-skimming strategy – Launch the new product at a high price, but with limited advertising expenditure. A rapid-penetration strategy – Low launch price accompanied by heavy advertising. A slow-penetration strategy – Low price level accompanied by a low level of advertising expenditure. Slightly lowering prices to raise the barriers to entry for potential new competitors. Improvements to the product’s quality, adding new features or new styles. Selectively expand the distribution network. Shift the advertising objective from product awareness to brand insistence. Promote the more frequent use of the product by current customers. Find new target markets for the product. Find new uses for the product. Price the product below the market to attract more price-sensitive buyers. Add new ingredients or eliminate old ingredients. Make a dramatic (new) guarantee. Improve quality or add new product features. The main strategy is to reduce marketing expenditure to the absolute minimum or to re-establish the product’s market position. The re-establishment could entail a makeover or rebranding of the product. For example, Coca-Cola made Diet Coca-Cola, and when it started to decline, they made a few modifications and came out with Coke Zero, which was seen as a brand new product yet it was simply Diet Coke rebranded with a few changes to the ingredients. 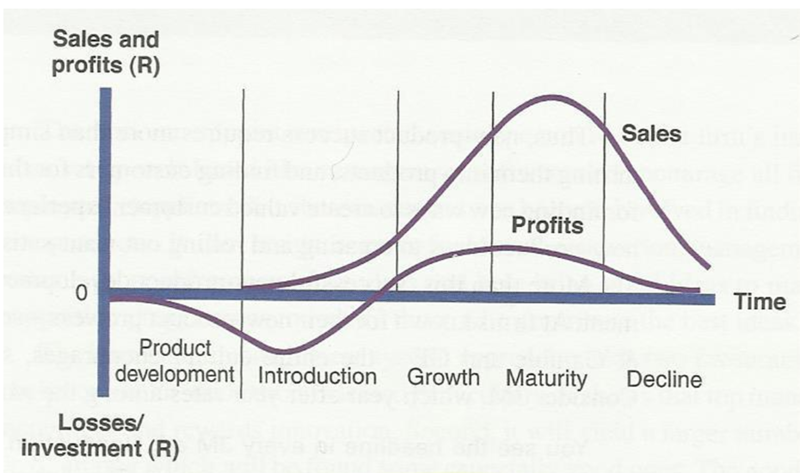 The stages of the life cycle, the time span of the life cycle and the shape of the life cycle vary by product and by industry. External factors may have a major impact on the performance of a product and shorten or lengthen its life cycle. An individual firm may do better or worse than ‘average’ for its industry at any stage in the product lifecycle. A firm may be able to manage the life cycle of a product category or industry. Some firms may be able to engage in a self-fulfilling prophecy, whereby they predict that sales will decline and then ensure that this will occur by reducing or removing marketing support.